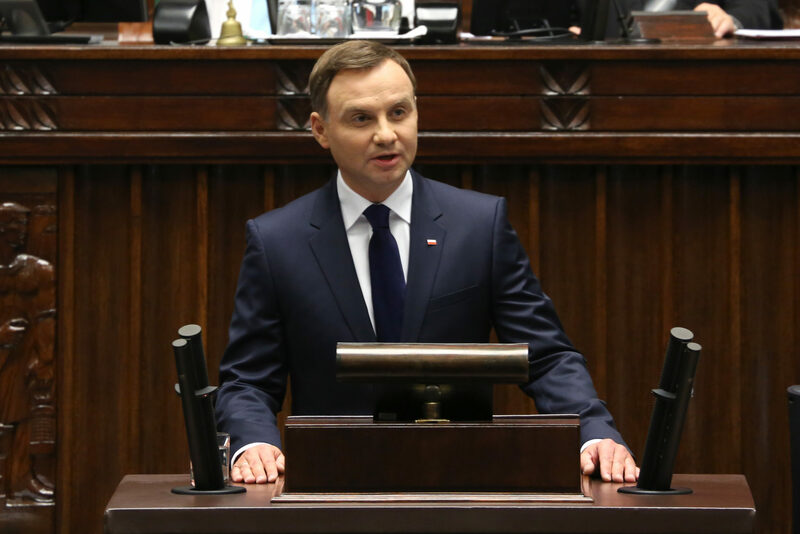 President Andrzej Duda has made a surprise announcement that he will veto two of the three controversial court restructuring bills which was recently passed by the parliament. Specifically, the president objected to increasing the power of Public Prosecutor General Zbigniew Ziobro. Earlier this week, he also demanded an increase in the majority of parliamentary votes needed to confirm judges and has complained that he was not sufficiently consulted on the bills. After this story was initially published, Duda said he would sign a third bill giving Ziobro’s office the power to select the heads of local courts and more closely guide their cases. Nevertheless, the vetoes are unexpected, as the reforms are supported by the far-right Law and Justice PiS party which backs Duda and would increase their power over the judiciary. This is a big victory for the thousands of people who have taken to the streets across Poland daily for over a week in protest of the bill. They argued that the reform would erode the separation of powers by giving PiS the ability to stack the Court with its own members. The bill has also been criticized by US State Department and the European Union, where European Commission Vice President Frans Timmermans threatened to trigger the EU’s Article 7 for the first time to punish Poland with sanctions. Anna Wajner contributed to the reporting of this article. The president has only vetoed two out of three reform proposals. The embattled Kaczynski loyalists will not give up easily and can be expected to redouble their efforts in trying to discredit their opponents. The chairman, who is not commenting on the vetoes, seems to be convinced that his party’s slim majority gives him the mandate to create a Fourth Republic. But I guess that few people from the governing party would know what I’m talking about. Wow. The latest, according to the Washington Post, is that once a certain humble backbencher has dealt with the courts, then next in his sights are the universities, which need “deep change”. This man does not understand the concept of consensus politics. Even the discredited pre-war Sanacja took account of different views. Good luck to any academics who don’t subscribe to the PiS ideology. ‘Ucho Prezesa’, when I think about it, was very clever and very funny, but actually softened the persona of the Prezes and made him rather likeable. He has actually gone beyond satire now. Not usually a huge fan of the UK ‘Daily Mail’, but this piece by historian Dominic Sandbrook offers food for thought. I noticed one inaccuracy, though – he said that Krakow was one of the cities which was destroyed during the war, whereas it was relatively undamaged, but otherwise the article is powerful stuff. I have no idea of the legal basis for any reparation claims, and there is undoubtedly more than a bit of posturing on the part of J. Kaczynski, who is clearly playing to his core supporters, but I suppose he must be given credit for highlighting the destruction of Poland, something not really known about in the west, since articles such as this are now appearing. I haven’t changed my mind about him and his style, BTW – only trying to be fair. Pity that it has taken an anti-European manipulator to make the West sit up and take notice of what Poland actually went through.